It's been awhile since I've had the opportunity to participate in one of Bonnie's challenges. This week the challenge is to present an abstract photo art with a design from nature. Designs in nature! Definitely right up my alley! I'm always looking for patterns in nature. The fern head pictured above was about twelve inches in diameter and those are banyan tree roots climbing down on the left. The "recipe" for all the images is at the end of the post. This one is finished with the color burn blend mode. Each image contains one layer of Kim's confidence texture and final layer of Bonnie's sweet secret texture. I started with the image of the cardinal, then added the textures and other images and played around some with other blend modes. The one above is the color blend mode. In this vivid blend mode, you can see more of the original colors coming through. 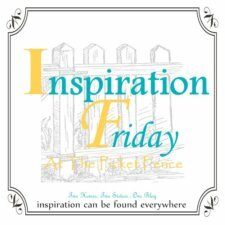 I'm so glad to be participating in Bonnie's Photo Art Friday this week! Be sure to click on over and see what the real artists have displayed in her gallery! As always, you're in for a visual treat! So... which blend mode is your favorite? What a great combination of images and processing! i am inspired by your creativity. great work. I love the all... but especially the mid one (in grey tones) - So well done!!! Totally amazing and absoultely wonderful. Wow you really have some great pieces here. I love them all but I think my favorite is the last one. I might add that Fern is just awesome. Wow, such creative work here and it came together so beautifully! Excellent composition. Love the colors here. Thanks for linking up with Flower Art Friday! Amazing composition! I prefer the last edit. Fantastic combos here to create such interesting abstracts! Thank you for sharing your artwork with Photo Art Friday, June.